Haymarket Media Group is expanding its Classic & Sports Car brand through a partnership with the producers of Flywheel, the classic car and planes event in Oxfordshire. 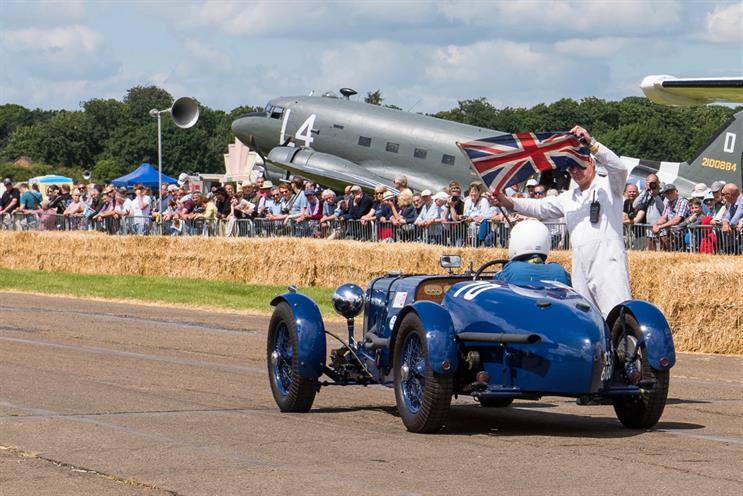 The publisher of Campaign has signed an agreement with Historic Promotions and Bicester Heritage, a venue at the site of a former World War 2 RAF bomber station, to produce a combined show. Dubbed The Classic & Sports Car Show in association with Flywheel, the event will take place in June 2018. It will combine land and airborne demonstrations of cars and planes. The event will replace The Classic & Sports Car Show, which made its debut at London’s Alexandra Palace in 2015. Haymarket owns a portfolio of automotive titles, including Autocar, What Car?, PistonHeads and Classic & Sports Car, which reach a combined audience of around nine million car fans every month. Kevin Costello, chief executive at Haymarket, said: "This partnership has real horsepower. Our track record in motoring media means we reach millions of petrolheads every month. "Bicester Heritage has the ideal historic setting and Historic Promotions have built something unique with their wings and wheels experience, Flywheel. Together we will create an event that will come to define the popular heritage motoring experience." Haymarket’s eponymous title will support the Classic & Sports Car Show in association with Flywheel, as will Autocar and PistonHeads. Richard Grafton, commercial director at Historic Promotions, added: "We specialise in understanding the way to create and blend content together from the classic motoring, motorsport, aviation and military sectors, making live experiences which deliver as much to specialist collectors as they do to excited families. "We’re really looking forward to working with Haymarket and Bicester Heritage to develop this exciting event combining two great brands in one superlative location for the perfect weekend." Historic Promotions also produces Donington Historic Festival, Sunday Scramble at Bicester Heritage and the International Historic Motoring Awards.